The photo shows me wearing a pair of Moroccan qandrissi trousers, a type of men's harem trouser. In French, they are called sarouel, from the Arabic sirwal or سِرْوَال. 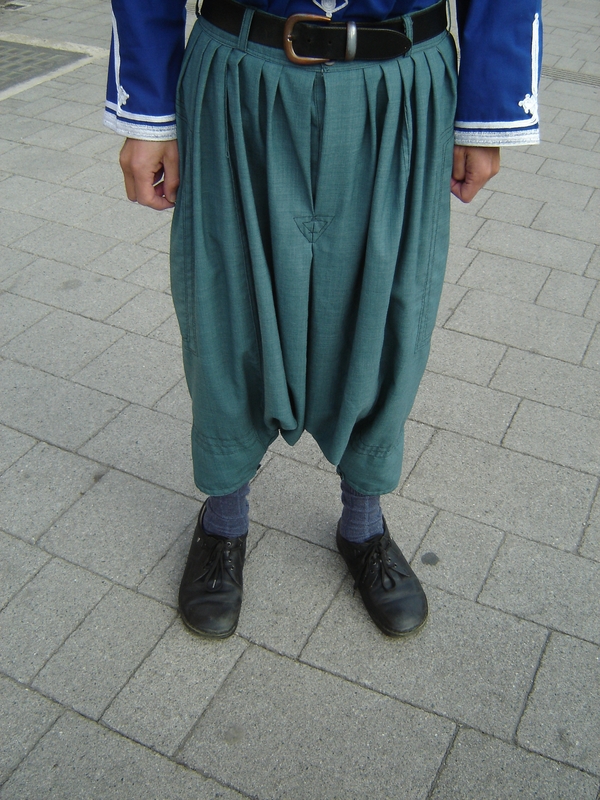 I mentioned the style for its comfort and elegance in my Dr Dobbs essay Dress Code . This pair, like the top, came from Omar Serroukh's shop "Fez" at 71 Golborne Road in London. See also these photos and these.